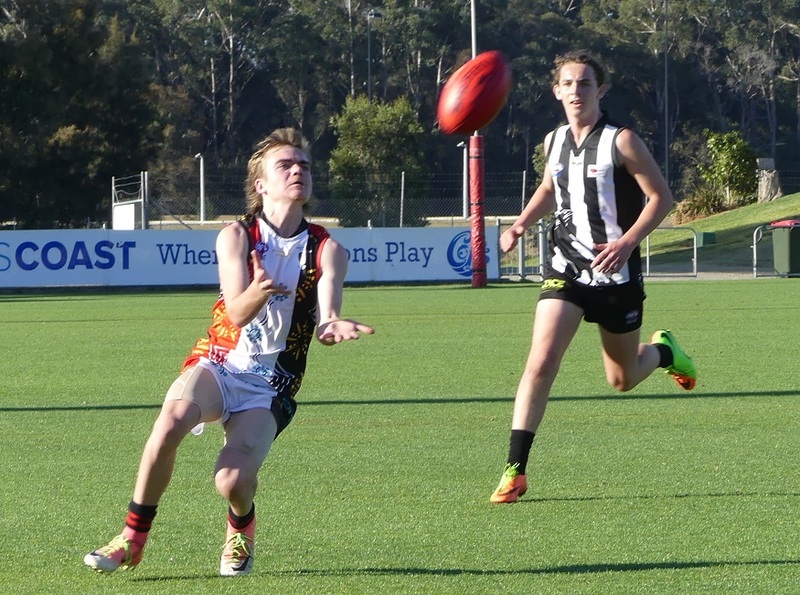 Sunday’s results in the final round of the AFL North Coast Junior Competition have confirmed standings on the ladder and provided the missing pieces to the Finals Series puzzle. In the Under 11 competition, Nambucca Valley Lions completed an undefeated home and away season with victory over Grafton Tigers to lock in an appearance in the Major Semi Final. Their opponent in this match was confirmed as being Northern Beaches Blues whose last round victory over Sawtell Toormina Saints not only secured second place, but dashed any hopes the Saints had of playing Finals footy. Wins for Port Macquarie Magpies White and Coffs Harbour Breakers Dark saw those teams secure third and fourth places respectively to set-up a Minor Semi Final between these rivals. The Under 13 competition saw a tight and fierce race for Finals positions. 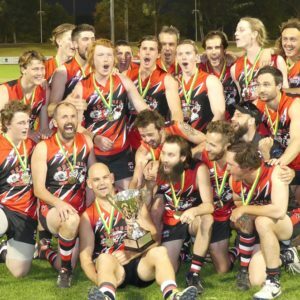 Grafton Tigers were the only team guaranteed to play Finals ahead of the last round and they can now lock in an appointment with Macleay Valley Eagles who secured second spot with a hard fought victory against Manning Valley Mustangs. 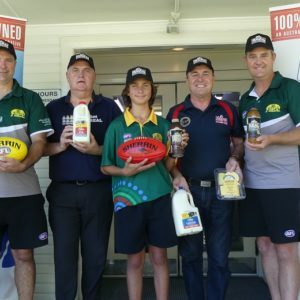 Places in the Minor Semi Final came down to mere percentages and ultimately saw Coffs Harbour Breakers and Port Macquarie Magpies squeeze through in what is a repeat of the Under 11 Minor Semi. Bellingen Bulldogs can consider themselves unlucky not to feature after they missed out on fourth place by less than 2 percent on the win/loss ratio. In the Youth Girls, defending Premiers Coffs Harbour Breakers finished one game clear of Grafton Tigers to set up what should be a classic Major Semi Final between the two. Port Macquarie Magpies and Macleay Valley Eagles will go head to head in the Minor Semi Final with both desperate to claim the win and keep their season alive for at least one more week. In Under 15 action, Grafton Tigers win over Bellingen Bulldogs saw the Tigers secure second place on the ladder and earnt them a Semi Final showdown with minor premiers Sawtell Toormina Saints. The winner of this match progresses straight to the Grand Final on 26 August whilst the loser gets a second chance against Bellingen Bulldogs one week earlier. * All Major Semi Finals are at Richardson Park, Sawtell. ^ All Minor Semi Finals are at Wayne Richards Park, Port Macquarie. For full match details please click here.